"A messaging app, with a few special features." At first I thought this was exactly like whatsapp but there are some fun little features on WeChat such as being able to discover other people nearby to you. 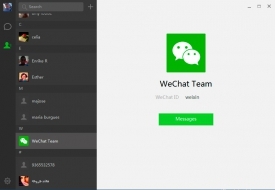 Although this feature is only available on the phone app and not on the PC version that is one advantage WeChat does have is that you can add the app to your PC with a quick free download and it’s as simple as scanning the QR code, immediately your contacts are transferred to your desktop version of WeChat so you can chat from either your mobile or your computer. There is also a nice feature where you can discover people around you, and as I had barely any contacts with this app, I decided to send out a few messages to random strangers asking if they would like to be my friend, it seems this fell on deaf ears and I came away feeling a little disappointed that no one wanted to make a new friend today. Then I found the shake option, you shake your phone and it connects you with anyone else who happens to be using shake mode at the same time, this seemed like a great idea although everyone else who was shaking it (yes I really just said that) were thousands of miles away and it was almost impossible to meet an English speaking person. It certainly has more features than similar messaging apps and the user interface is very easy to navigate, the features such as people nearby and shake give WeChat a more fun feel than similar apps. 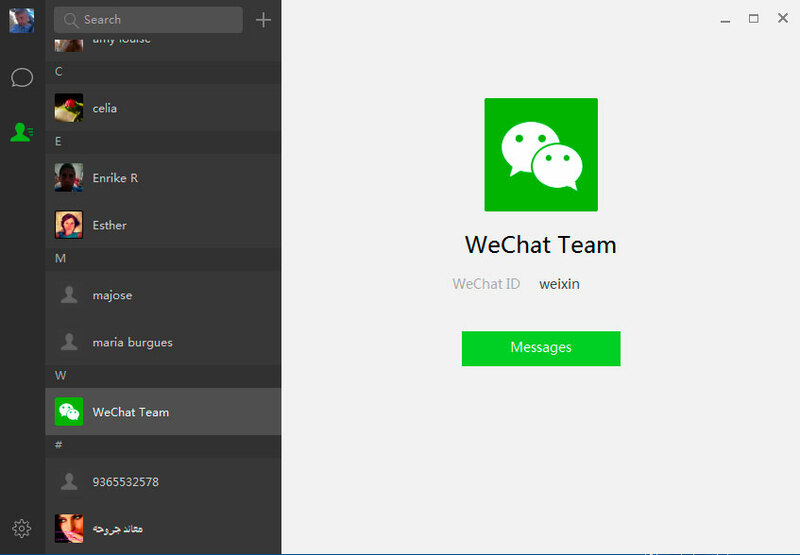 WeChat free download is available for windows and mac’s not just mobile phones, I was a little disappointed that you could not open an account only on the PC and had to have a phone account before you could use WeChat on the PC but this is a small negative. I also like that WeChat does not show you the last time someone has been online or checked their messages and I’m sure this will divide opinion but for me I don’t like that if there is a message I don’t feel like replying to straight away with certain other messaging apps that the sender of the message can see I have read it and not yet replied. WeChat is completely free of charge for both computers and mobiles and states that it will always remain free so there is a definite positive right there, the popularity of WeChat should grow as they have launched a worldwide advertising campaign using celebrities (including Leo Messi) in different countries to promote the app. WeChat free download also provides video and audio messaging between other WeChat users so you are able to have facetime conversations. The market seems to be a little flooded with this kind of chatting app at the moment but with the huge success WeChat has already enjoyed in Asia I am sure it is only a matter of time until it has a similar status in the Western Hemisphere, whether it has the power to be as popular as some of the other apps only time will tell.